We are happy to share an additional major milestone. The past month has been full of events, from the announcement of our $30M Series C funding round led by Lightspeed Venture Partners and Menlo Ventures, through surpassing the 250 customers mark, and the recent onboarding of major enterprise customers such as Comcast, Intuit and Cox Automotive. Today’s post shares the next step in the OverOps journey. Gartner, the world’s premier information technology research and advisory company, recently announced that OverOps has been included in the list of “Cool Vendors” in Performance Analysis. In its report, “Cool Vendors in Performance Analysis, 2017”, Gartner features OverOps as a vendor that brings advanced analytics and enhanced scalability to the availability and performance management market. We’re thrilled to see Gartner highlight OverOps as a vendor that companies should explore, and we consider it a vote of confidence from one of the industry’s most trusted advisors. It is truly an honor to be recognized by Gartner in the Cool Vendor report, and we see it as a testament to the gap in the DevOps space that OverOps solves for. Alongside the customers we’ve been able to help at scale, we feel this recognition reinforces our mission to continue delivering the best possible solution for real-time event intelligence. In the meantime, we continue our mission to help teams focus on building products rather than fixing broken applications. 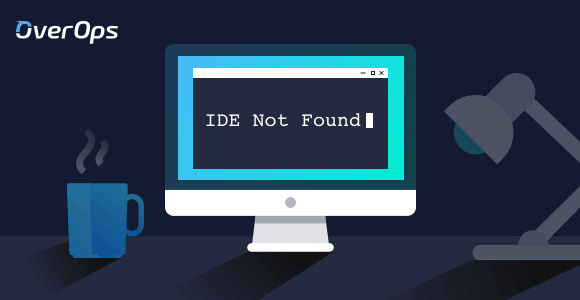 While the way we monitor applications has improved dramatically, fixing production issues still relies on a 20 year-old technology that relies on plain log files. The space is ripe for disruption, as more and more companies are discovering a new way to debug in production and cut down the time their teams waste by over 90%. Traditionally focused on Java, we’re hard at work on expanding OverOps to the .NET CLR platform and additional programming languages down the road. In addition to expanding the platforms we support, we’re also focused on deepening the capabilities OverOps offers and providing never before seen data about how applications behave in production. System observability is the difference between success and failure. Read the PR announcement here, and access the Gartner report on their site. To learn more about OverOps, click here.